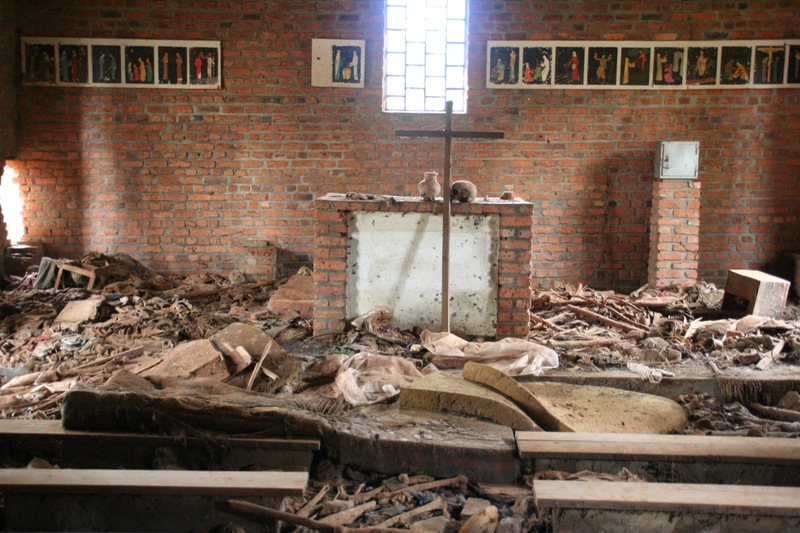 One of the refugees asked: „Father, can’t you pray for us?“ Seromba replied: „Is the God of the Tutsis still alive?“ Later, he would order a bulldozer to push down the church walls on those inside and then urge militias to invade the building and finish off the survivors. At his trial, Seromba said: „A priest I am and a priest I will remain.“ This, apparently, is the truth, since the Vatican has never taken back its statements defending him before his conviction. In zwei interessanten Interviews auf der Website des IGB äussern sich Dominique Bicamumpaka vom Congrès du Travail et de la Fraternité (COTRAF) und Eric Manzi von der Centrale des Syndicats des Travailleurs du Rwanda (CESTRAR) zur Gewerkschaftsarbeit im informellen Sektor und allgemein zu gewerkschaftlichen Aktivitäten in Ruanda.